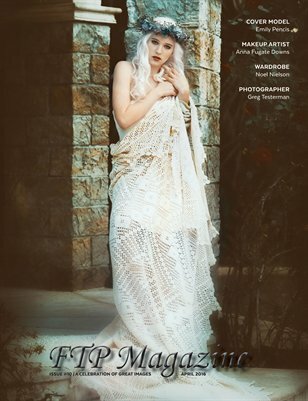 For the Pictures (http://www.facebook.com/forthepictures) is a magazine built to showcase models and photographers around the world, including credits for location and the team putting great work together. This issue #10 contains some of our best images to date! As a free for all, we allowed for images that met ANY of our criteria but stood out from the crowd in some manner. Take a look. If you are ordering a print as an individual in the magazine, please make sure to check the digital copy immediately for your name. If there are any concerns, please notify MagCloud via email with the order number to stop the shipment AND notify us to have the name resolved. Once MagCloud ships (usually 24-48 hours), we are UNABLE to resolve any physical copy concerns but will happily resolve the digital issue. Thank you for your understanding.